My latest book, Point Blank, is 2-plus years old. If it was a person, it’d just be learning the words to express its frustration. It’d be in a high chair, throwing a tantrum. It’d be flinging food on the walls. It’d be laughing as it’s distressed parents, overwhelmed with sleeplessness, throw up their hands and shake their heads. If my toddler of a book was a person, it’d have to hold my hand to cross the street; it’d need a car seat every time I chauffeured it and its clones to readings. In book years, though, our “babies” age fast once they hit the world. They leap past those tender milestones and land in early retirement, tossed in bargain bins or crammed on used bookstores’ shelves. When a book’s been out for a while, it has a tough time getting attention. Most critics won’t touch it. It’s a shame. As a reviewer, I got a thrill introducing readers to newly-released books and those over a year old. I saw the review as a way of me having a public conversation about the writers I love. In fact, a book that’s been out a while, contrary to industry practice, has an advantage over the new ones. Remember Hyatt, the bestselling author? He highlighted reasons to read older books. 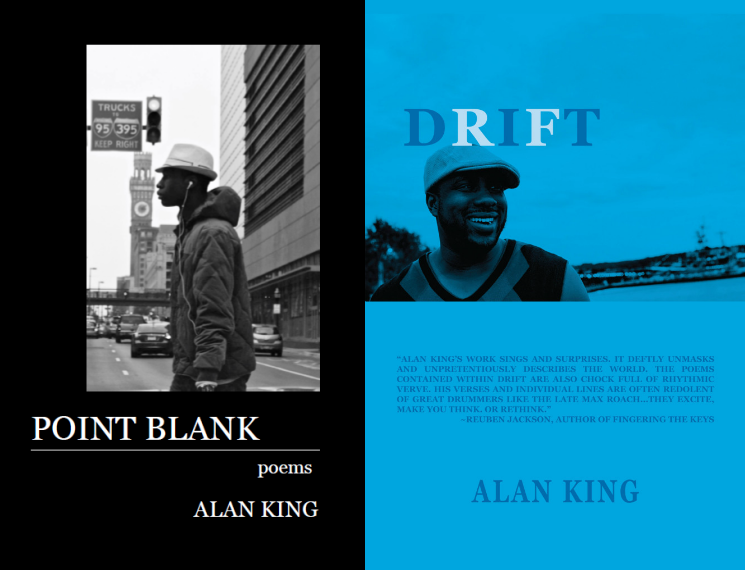 It took four years after my first book, Drift, for Point Blank to come out. That my first book was still taught through PEN/Faulkner Foundation’s Writers-In-Schools (WiS) program said a lot about its staying power. Drift continued to bring pleasure to young readers. So much to that, as a WiS coordinator informed me, I was among the most requested visiting writers. Now, in its 6th year (ancient by industry terms), Drift still pops up on teachers’ lesson plans. A middle school guidance counselor also told me she keeps a stack in her office. She gives them out to young men kicked out of class because of disciplinary issues. I’m always touched when she says the young men claim, at first, they don’t like poetry. But they end up burning through Drift in one night, then show up anxious the next day to discuss it with her. On the early retirement of books over a year old, I took it personal when I saw my books sold used on Amazon. That is until Jack Bowman put it in context for me. Some of my best discoveries occurred in used bookstores. I remember the time I lit on a used copy of Ntozake Shange’s A Daughter’s Geography at Second Story Books. I glowed at the thought of this secret planted there, waiting to tell me the story of its use. I was ready to linger, as I imagined the previous reader did, on Shange’s words. Another advantage of “old” books, according to Hyatt, is that they provide context. When I reviewed Iain Haley Pollock’s Spit Back A Boy, which came out in 2011, I juxtaposed it with Ralph Ellison’s Invisible Man. The latter precedes the former by six decades. Yet the perspective I got from Ellison helped me see the invisible underdog in Pollack’s speaker. I wouldn’t have had that frame of reference if I only valued new books. With that, I echo C.S. Lewis’s advice to readers, including reviewers. Posted in Article, Essay.Tagged 2018, art, books, literature, wplongform.